It might sound like the biggest cliché, but If the weather is right, having a picnic in a beautiful spot is one of the greatest and most fun outdoor activities. 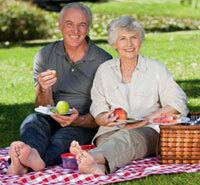 Packing the picnic yourself will give the date a nice personal touch and will definitely impress your partner. Take a look at what exhibitions are available at your local museums and galleries. If anything tickles your fancy, take your date to look around with you. Sharing your impressions and thoughts with each other will ensure that there is plenty for you to talk about, and will help you build a connection and learn more about your dynamics. 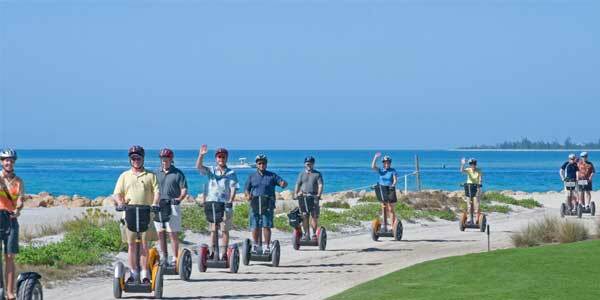 Segway tours are an exhilarating way to explore a tourist destination, without the exhaustion of trekking around by foot. Riding the Segway itself is lots of fun, and letting it glide around can be very relaxing. For senior especially, this could be a great choice for a memorable and enjoyable date. Take a trip to a local market town, or visit a market that sells unique and unusual pieces. Browsing various hand-made gadgets, jewellery and works of art is a great way to get to know more about each other’s tastes, with plenty of sights and sounds to stimulate conversation. If you know that you and your date share a particular interest, perhaps a specific period of history or certain genres of literature, go to a lecture together on a relevant topic. You can always have a look at her online profile to see what she’s more interested in if you’re not sure. Discussing and sharing your views on what you have learned together is a great way to strengthen your mutual interest. Take your date to a charity auction, where you can have fun seeing all the items up for purchase, and taking part in the “thrill of the chase” as you bid for any items you fancy. With all the money going to charity, every penny spent is worthwhile. Furthermore, it’s a great chance to be a little silly and bid for random things that you don’t necessarily need. As long as you are confident about your date’s tastes, a live music event can be romantic and lots of fun. From classical music to jazz bands, listening to live music is the perfect way to relax together, and it can take a lot of pressure away from just constantly talking. 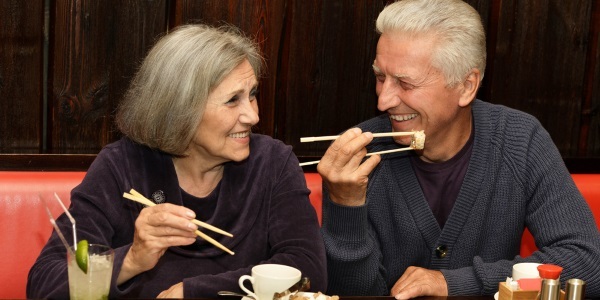 First dates at a restaurant can sometimes be awkward if you don’t know each other and have to make conversation – but if you know your partner is a fan of Chinese food, or loves Sushi, then a nice meal out will be a guaranteed treat. For a more personal date at the movies, find a small theater and go at a time of day that won’t be overcrowded. Use the movie as an ice-breaker – set aside some time together afterwards for a drink or dessert, where you can get to know each other better. If the ideas above don’t appeal to you, take a look at some of the senior online dating websites. OurTime.com, for example, has an online magazine with dating suggestions and you’ll have plenty of options to choose from. Are you struggling to meet the right person? Sign up to an over-60s dating site today, and search thousands of potential matches.